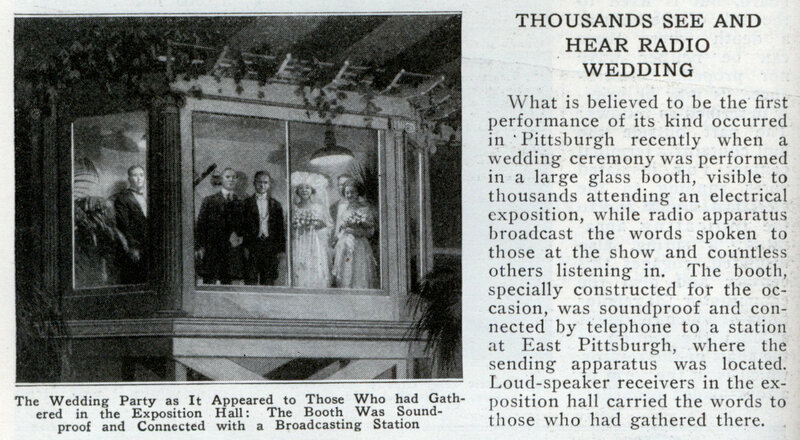 What is believed to be the first performance of its kind occurred in Pittsburgh recently when a wedding ceremony was performed in a large glass booth, visible to thousands attending an electrical exposition, while radio apparatus broadcast the words spoken to those at the show and countless others listening in. 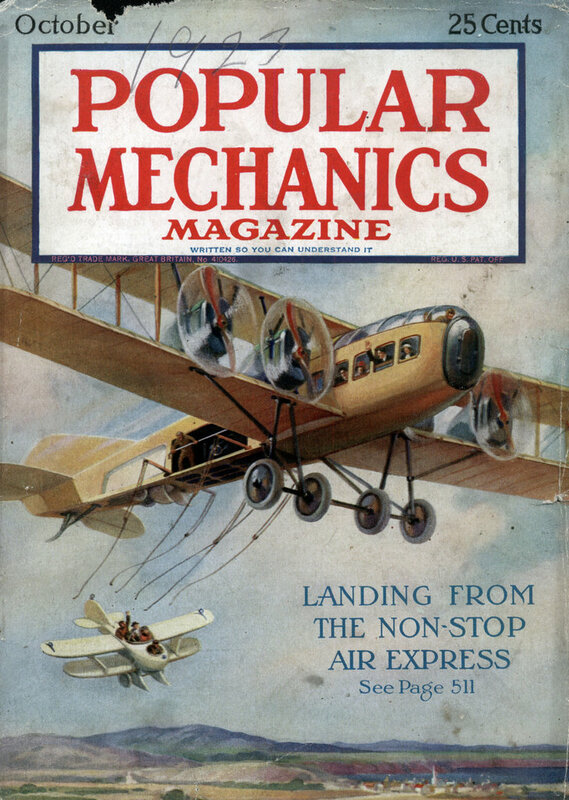 The booth, specially constructed for the occasion, was soundproof and connected by telephone to a station at East Pittsburgh, where the sending apparatus was located. Loud-speaker receivers in the exposition hall carried the words to those who had gathered there. And yet legions would rise in righteous rage were a wedding streamed on Ustream!